Home / colombo / Google / local business / seo / Sri Lanka / Google Local Business Results in Colombo? 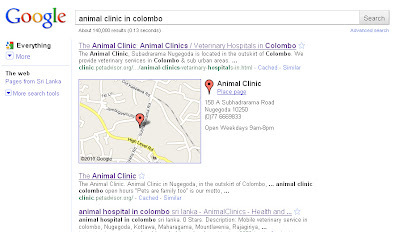 Google Local Business Results in Colombo? 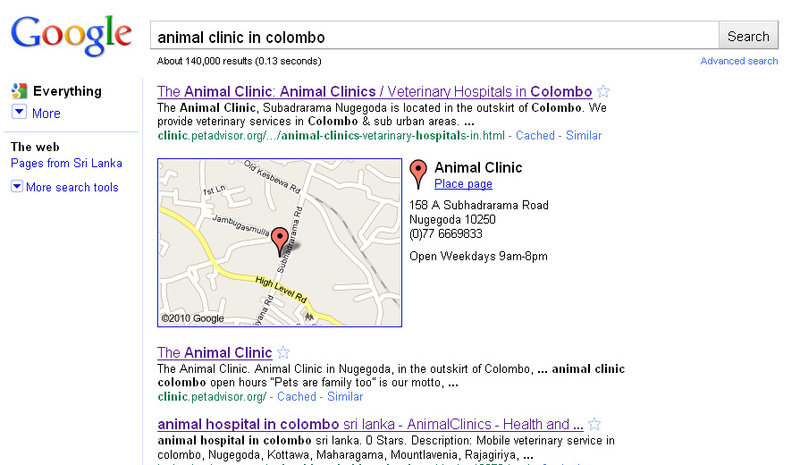 I finally managed to get the "Animal Clinic in Nugegoda" appearing on a Google map on the Google result page. This is still not the Google's Local business results, as they haven't still included Sri Lanka in their local business service. This result comes from Google's map maker. Hey cool ;) I wanna add my shop to GLBR 'n wondering how to get in there. Any help, appreciated. I run a small hotel down south. Can you help me put my place on Google maps?